Sorry for the delay, everyone! Between school and spring allergies finally knocking on my door, it has been a rough 36 hours. But never fear... the holo is here. This holo-fied color is Deborah Lippmann's Razzle Dazzle, a smooth cranberry jelly with fuschia glitter. Be on the lookout for a full review tomorrow. 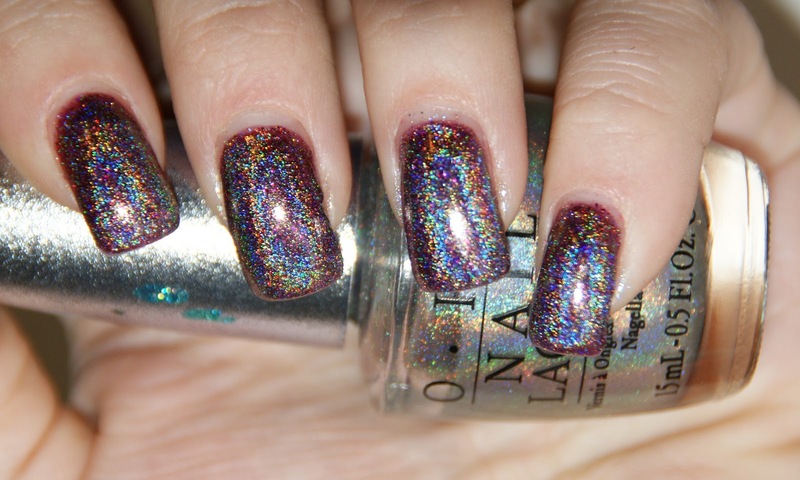 A coat of OPI DS Shimmer turns this shade into a linear bordeaux holo that is to die for! 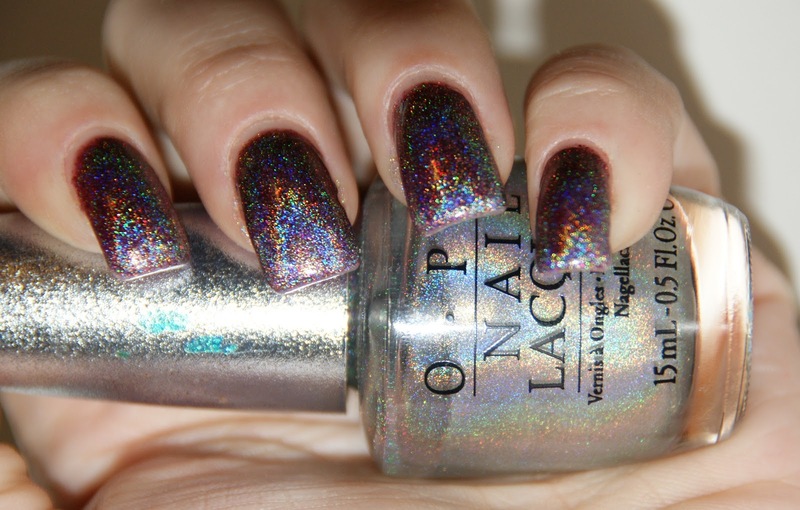 So what do you think of this holofied shade? Get ready to go purple next week! Oh, goodie! 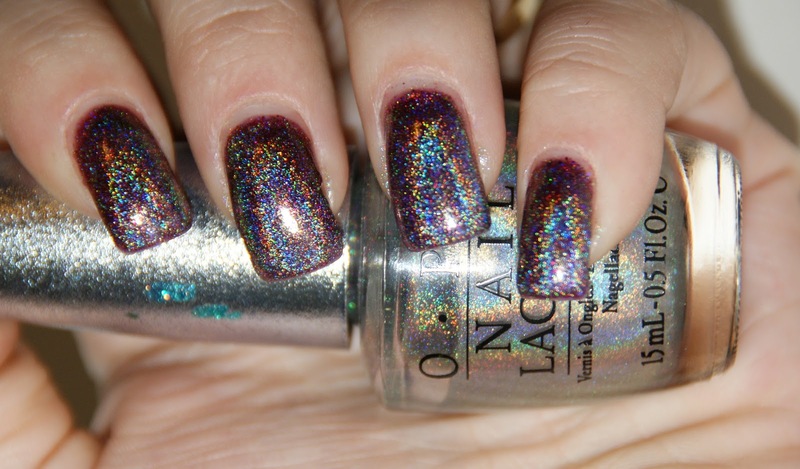 That's just beautiful!